Twice Polish Road Champion and former Vacansoleil rider Tomasz Marczynski is headed to Turkish squad Torku-Sekerspor for 2015, a team that is going through big changes under new management as former GreenEdge director Lionel Marie takes the reins. We recently caught up with Tomasz to talk about his move and what the cycling scene is like in Poland. 2014 was a memorable year for Polish Cycling with Rafal Majka (Tinkoff-Saxo) taking sixth on GC in the Giro then two stages and the King of the Mountains in le Tour before winning his home Tour of Poland. The icing on the cake came courtesy of Michal Kwiatkowski (QuickStep) and his stunning win in the World Elite Road Race Championship in Ponferrada. But Majka and Kwiatkowski apart we don’t hear much from the hard men from the East - so PEZ tracked down former double Polish Road Race Champion Tomasz Marczynski for a chat. Marczynski rode three seasons from 2006 to 2008 for Italian squadra Ceramica Flamina taking silver in the Polish Elite Road Race Championship in 2006 before climbing on to the top step of the podium in 2007. 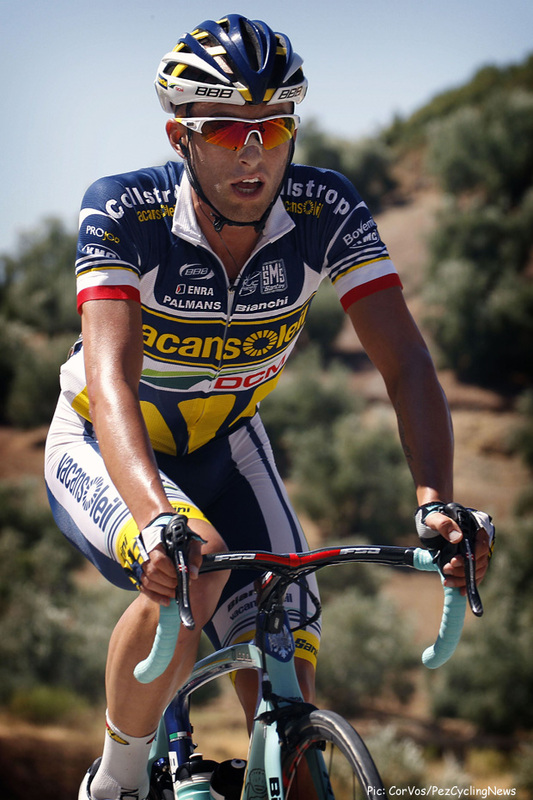 The hi-lite of 2008 was a stage in the Tour of Asturias before a move to another Italian team, Miche in 2009. Second in a stage in the Route du Sud was the best result that year but in 2010 with the orange of Poland’s CCC on his back he grabbed big wins in races with unpronounceable names in Poland as well as a stage and the GC in the Tour of Seoul in Korea. Season 2011 saw two Polish Elite Championships go his way – road race and time trial, still in the colours of CCC. 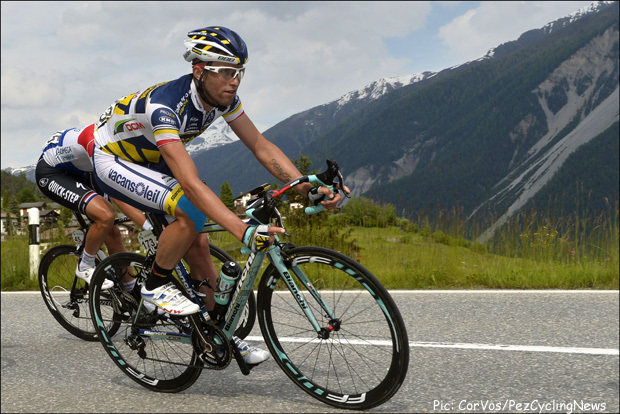 Vacansoleil became home for two seasons from 2012 with the Sprint Classification in the Tour of Catalonia that year and the Mountains Classification in the Tour of Poland going his way in 2012 and 2013. Last season saw him back with CCC but in a season compromised by return from injury there were few results. For this season he’s headed south – all the way to Turkey and Continental Team Torku Sekerspor where he’ll ride alongside quality Belgian rider Kevin Seeldraeyers. Torku has had it’s brushes with the UCI testing laboratories these last few years but have called in experienced Frenchman Lionel Marie as General Manager with part of his brief being to ‘spring clean’ the team’s image. We caught up Marczynski over the New Year holiday period . . .
How did you get into cycling, Tomasz ? I started when I was 13 years-old. In the beginning I rode cross country and after one year I made the move to the road. Is there a system in place in Poland to bring young riders up ? When I started you could ride there until junior level; but if you wanted to progress then you went to Italy to ride U 23 – and that’s what I did. But now in Poland it’s better with more teams for the young cyclists. Who were the riders you admired when you started racing ? Armstrong, Ulrich and Pantani were my three favourite riders. Are Szurkowzki, Szozda, Nowicki and the other Polish stars from the 70's still remembered ? I was born in 1984 so those riders are before my time. You turned pro in Italy - tell us about that, please. As I said earlier, when I was 19 I went to Italy to pursue my dream of having a career as a professional cyclist. After two years riding amateur I turned pro with Ceramica Flaminia. Then you went to CCC - that must have been a big deal as a young Polish rider ? Yes After four years riding pro in Italy I come back to Poland to race with CCC – it was a successful period in my career with good wins, including double champion of Poland winning the road race and time trial. Vacansoleil - how did you fit in with the Dutch mentality ? Really good; I think until now it was the best team I have ridden for during my career. It was really professional, nice people and a really good atmosphere. I have great memories from that team. Not exactly - but it was OK. I worked hard in 2014 and got into good shape - for sure this season I’m going out to fight for the victories. You were a team mate of Rebellin at CCC – what’s he like ? I don’t know many cyclists like him; he’s 100% professional at all times – a really good example for young riders. What was your hi-lite in 2014 ? It’s difficult to say because I spent the whole year working for my team mates and never had an opportunity to ride my own race. I think there wasn’t really a hi-lite - just a good season after a really difficult 2013 when I could not race for almost half the season due to an operation. What's your favourite kind of race ? I like hard classic races but my favourites are stages races. Torku, Turkey - how did that ride come about and what will your programme be like ? I received a really nice offer from Lionel Marie who will be general team manager of Torku. It’s really interesting project over there and I'm convinced that we are going to do a good job during this season. Where will 'home' be riding for a Turkish team ? I live and train at Granada, so won’t change anything in this aspect. Kevin Seeldraeyers is a good rider too; he'll be a team mate. Yeah, we go to the squad as joint leaders and we’ll work together for the good of the team. With the success of Majka and Kwiatkowski how is cycling in the Media in Poland ? The last two years have seen big progress with cycling in the Polish media and for sure the results of Rafa and world championship of Kwiato caused a furore. There are some good races in Poland that we never hear about in Western Europe; Mem. Henryka Lasaka for example - how do these races compare to French or Belgian races ? We are growing in this aspect – race promotion. I think most times the standard of promotion of Polish races is very high. We can see it in the case of Tour de Pologne; in my opinion one of the best stages race in the world! When's your first training camp with Torku ? We get together 13th January for our first official training camp. I’m really looking forward to meeting and getting to know my team mates. How is your winter training going ? It’s all under control; I started my preparation in the middle of November and for the moment everything is going good. What's still 'to do' for Tomasz Marczynksi ? Just one thing; to go back to the Marczynski from the 2012 season!